An average greyhound normally weighs between 65 to 75 pounds. The greyhound is the fastest breed of dog. It can reach a top speed of 45 miles per hour and can average more than 30 miles per hour for distances up to one mile. Throughout history, greyhounds have been bred to hunt by outrunning their prey. They were not intended to be solitary hunters, but to work with other dogs. The pharaohs of ancient Egypt rated greyhounds first among all animals as their pets and hunters of choice. Their favorite hounds were known to have been mummified and buried along with them. As proof, pictures of these greyhounds can be found etched on the walls of ancient Egyptian tombs. The greyhound is the only canine mentioned in the Holy Scripture. It is cited in Proverbs 30:29-31. In early Arabian culture, the birth of a greyhound ranked second only in importance to the birth of a son. So admired was the greyhound that it was the only dog they permitted to share their tents and ride atop their camels. In 1014, King Canute of England enacted the Forest Laws which stated that only noblemen were permitted to own and hunt with greyhounds. In fact, greyhound racing started in England as a sport strictly for nobility that could not be engaged in by commoners. Many believe that the word "greyhound" is derived from the phrase "greatest hound" because the breed was so highly-respected in Europe. Others claim that it is derived from "Greek hound" because in ancient Greece, the greyhound was the most prized and respected of all animals. In greyhound racing, the dogs are handicapped by grade. When a greyhound begins a racing career, it is classified as a maiden, which means a non-winner. It advances to grade C on its first win and with subsequent wins advances up the ladder to the top grade of A. 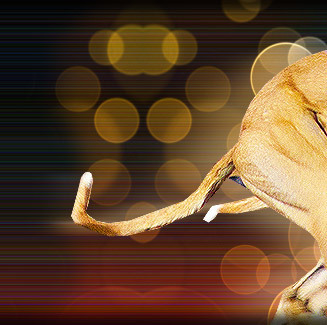 Most greyhounds begin racing at 18 months of age and continue until they are four years old. 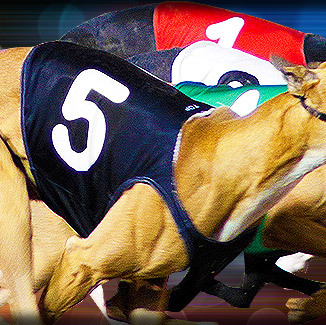 Aside from determining the outcome in a photo finish, the plastic muzzle worn by greyhounds protects their nose from injury and prevents them from fighting in the heat of competition. The colored blankets used during the races are keyed to the number and post positions of the greyhound. No. 1 is red; No. 2 is blue; No. 3 is white; No. 4 is green; No. 5 is black; No. 6 is yellow; No. 7 is green and white; No. 8 is black and yellow. At tracks with a No. 9, the greyhound wears purple and white. By nature, greyhounds are not aggressive. While they are competitive during a race, they are also quite friendly and sociable. Once separated from the litter, those who do become household pets often thrive on human companionship. The Earl of Oxford created the first public coursing club in 1776 in Swaffham in Norfolk, England. Greyhound coursing soon became very popular with the public. Greyhound racing in America originated from competitions organized by farmers in the 1800s. In those days, greyhounds were used to control the jackrabbit population that wrought havoc to the crops. Around 1912, Owen Patrick Smith invented the mechanical lure. He opened the first greyhound track in Emeryville, California. Six years later he owned 25 tracks around the nation, including ones in Florida, Montana, and Oregon.